In more signs Indi Liberal MP Sophie Mirabella is under pressure, campaign advertisements started appearing on local TV on Sunday featuring Joe Hockey. Is Sophie’s brand so damaged in Indi she can’t front her own advertisements? One of the criticisms of Mirabella heard most often is that she’s a Melbourne blow-in who was parachuted into a safe conservative seat. I’m not convinced getting a Sydney politician to front an election advertisement in these circumstances is such a wise strategy. Rural people already feel like they get poor representation from the coalition, with their interests largely ignored in favour of marginal city seats. An interstate city politician fronting for Sophie is definitely not going to ease those tensions; in fact, it could amplify them. In addition, Barnaby Joyce is set to campaign in Indi with Mirabella (source: The Conversation). Barnaby’s likely a better choice than Joe, but I’m not sure people take him so seriously after promising $100 lamb roasts because of a price on carbon. I suspect alarm bells are ringing at coalition central. In my article over the weekend I posted a letter Mirabella sent out to Indi constituents late last week. Subsequently I discovered a letter sent by Bendigo Liberal candidate Greg Bickley. The body of the letter is identical to Mirabella’s. In an electorate craving for local candidates to talk about local issues or national issues with local impacts, a one-size-fits-all approach only adds momentum to the campaigns of Mirabella’s main opponents. They are all having conversations about local issues, and national issues as they fit into the local experience. Sophie’s obviously missing the point by using generic letters and big-hitting friends. Over the weekend a number of candidates and interested tweeps had a conversation about the hashtag that should be used for Indi on Twitter. In the end a consensus was reached: #IndiVotes it is. Among the Indi candidates Sophie Mirabella (smirabellamp) has by far the largest number of followers (5,943). However, she has not tweeted since July 28. Mirabella does have her own Twibbon with 17 unique supporters. Cathy McGowan’s Twibbon has 73 unique supporters. The letter sent by Adam Wyldeck, Mirabella’s staffer, later leaked by Crikey has inspired the creation of a new Facebook page, Letters About Sophie. It was created in response to the line – “Cathy McGowan’s supporters are flooding every single one of the local papers with vitriolic letters of hatred towards Sophie”. In less than a week it has collected more than 900 likes. 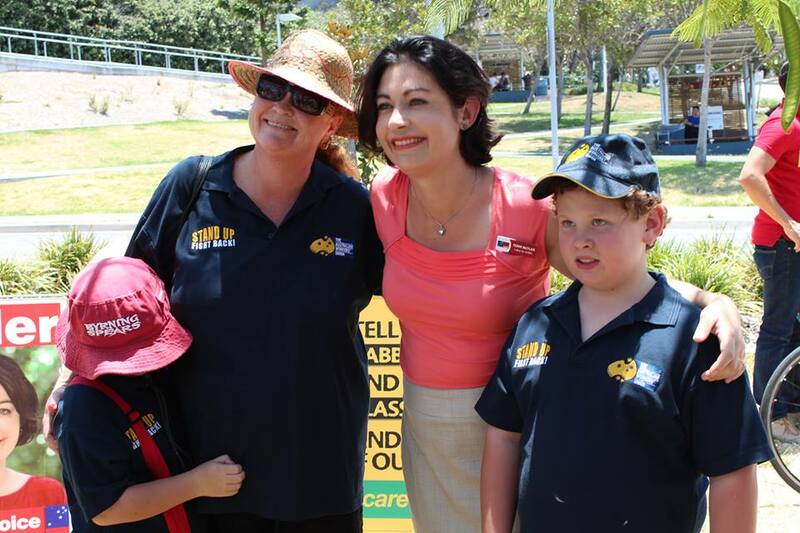 Jennifer Podesta, Cathy McGowan and Jenny O’Connor all reported via Twitter they were campaigning over the weekend. A source told me Cathy McGowan’s campaign was all the way out at Goorambat. Robyn Walsh took to Twitter reminding voters of the positive things Labor has done in the electorate while in government, including contributing $3 million for The Cube in Wodonga, which was the venue for McGowan’s campaign launch. If you ask people across the seat of Indi to name 2-3 things that Sophie has actually delivered for the electorate I doubt that anyone could give you an answer. They may say things that the previous Federal Liberal governments were responsible for or even something delivered by the current state Liberal government but anything by Sophie is usually met with a blank look. Therein lies the problem for Sophie. She spends most of her time looking after herself and sadly her electorate comes a distant last. Also allowing people to decide on their own preference votes is working in Cathy McGowans favor right now something that Sophie is struggling against. It’s going to be close. 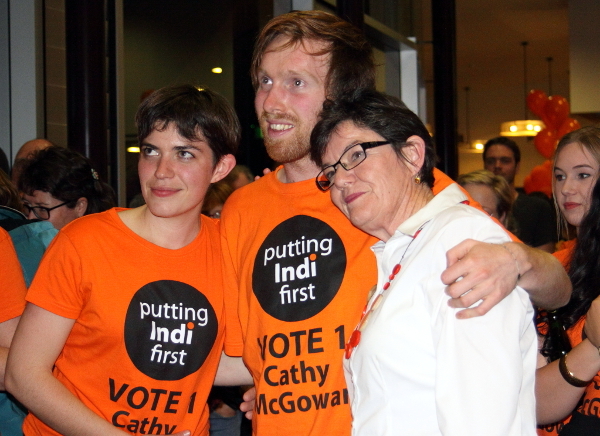 Cathy McGowan is looking for just 1 in 4 primary votes. Big ask but she can do it. I expect a response from the usual Liberal camp followers telling me that Sophie is a hard worker etc etc but nothing they say will include anything about results for Indi. I think not doing preference deals could be a strategic error. The seat could very well be decided on preferences. If that’s the case and McGowan doesn’t deal but ALP, Podesta and Greens do, ALP could be brought into play. McGowan could preference poorly if that’s the case and need to rely on primary votes in the main. Jenny O’Connor who was planning to run an open tick announced earlier today she is now open to deal with other candidates. Podesta undecided.